BROADVIEW, IL. August 11, 2015 –Joey Logano passed Kevin Harvick, who ran out of fuel on the final lap, to get his Bosch-equipped No. 22 Team Penske Ford to Victory Lane at Sunday’s NASCAR® Sprint Cup SeriesTM Race at Watkins Glen International in New York. 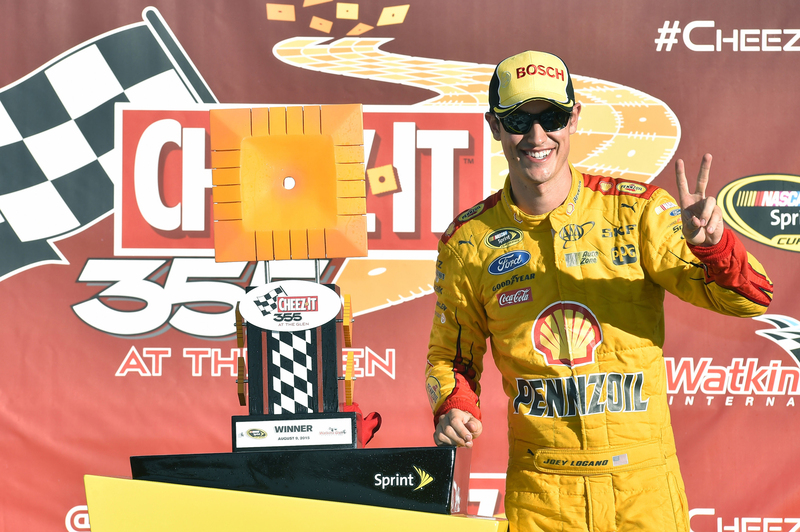 To mark Logano’s victory, Bosch Aftermarket NA is making its second $1,000 contribution to the Joey Logano Foundation. Thus far in the 2015 NASCAR Sprint Cup Series season, Bosch-supported teams have captured eighteen races for a total of $18,000 contributed by Bosch to help carry out the missions of respective team charities. The Joey Logano Foundation works to inspire and assemble the NASCAR community, assisting those across the country in need of a second chance due to natural or human disaster. The Joey Logano Foundation partners with other organizations to provide comfort and relief to those in need after unforeseen circumstances. The foundation supports organizations such as: Michael’s Way, Monsignor McHugh School, Fuel For Success, The Connection, Dream on 3, Hats for Hope, Potter Braves, Indiana Phoenix, UTI Foundation, Special Olympics, Greg Biffle Foundation, Project Independence, ALS Association, Team Serious Fun, St. John Central Grade School, Military Transition Support, Friends of Pocono Catholic Schools, Paralyzed Veterans of America, Opportunity Village, Boys and Girls Club, and Ride for Autism among others.